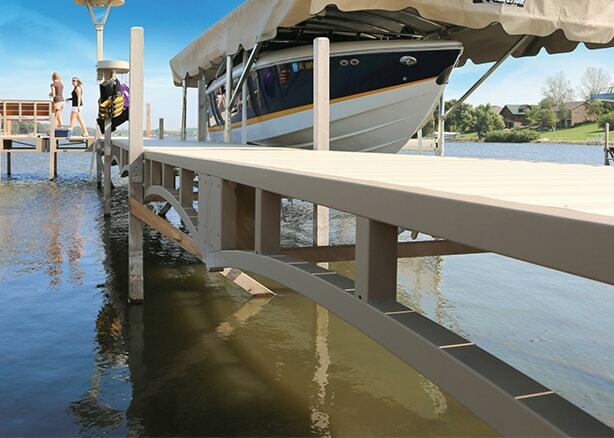 If you want a boat dock for the long-haul and one that won’t require much out of you after installation, consider an anodized aluminum dock as the choice for you. A hard, metal dock won’t splinter or warp over time like a wood dock might, and they also stay cool, providing comfort to your feet on even the hottest of summer days. With the low care required of an anodized aluminum dock, you can spend all your time enjoying the water instead of pesky upkeep.